The Official Blog of the Kegman | See what the Kegman's Brewing. See what the Kegman's Brewing. 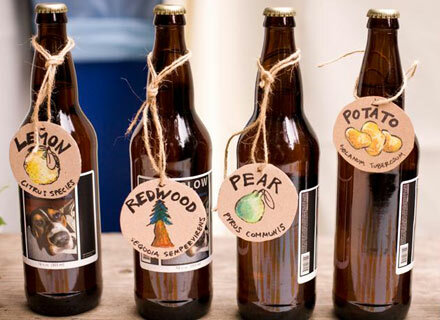 Brewing your own beer for a summer wedding can be the perfect personal touch. 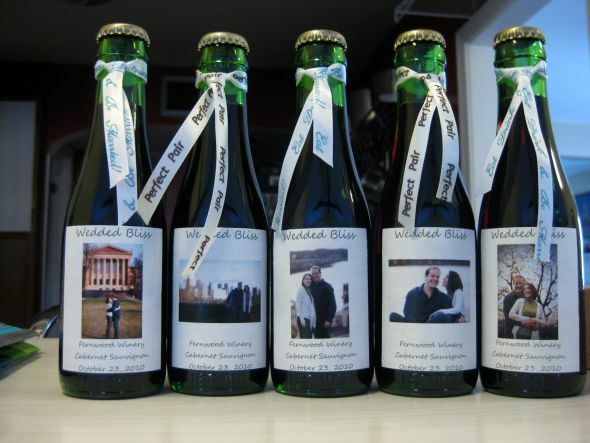 The photo above, from a wedding featured on the knot, shows the home-brewed beer served with customized labels featuring their dog, and hand-drawn table name cards wrapped around the bottles helping guests find their seats! 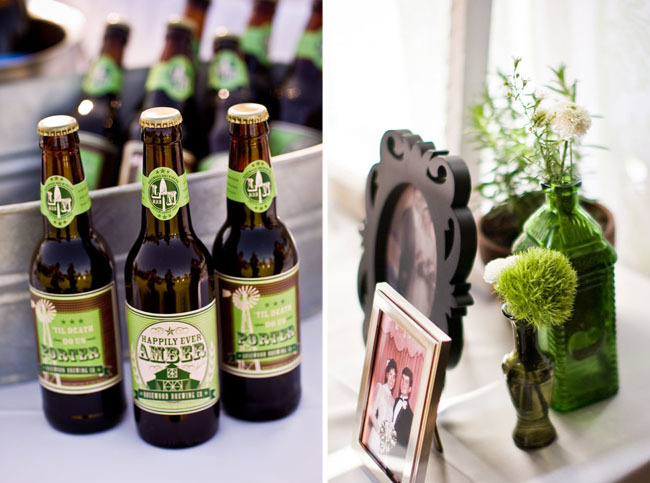 We love the idea of home brewing for special events! After all the work that goes into making homemade beverages, we can help you serve your drinks in the style they deserve to optimize taste and experience. Upgrade your pouring system with the Kegman! Are you new to the world of beer? Not sure whether you’re first beer experience should be from the ale of lager family? We decided to give you a brief run-down between the many varieties of beer that are served across the globe. Where there is beer, there is a way. As a source of reference for the visual learners, 40Cozy’s “The Very Many Varieties of Beer” shows you an overview of where all your favorite beers match up against one another. In a traditional sense, beer classification is determined by the timing and temperature used within the fermentation process as well as the selection of yeast used for the process. For example, if you have a “top-fermenting yeast,” the beer ferments at a higher temperature and gives off a variety of aromas and scents. Ales are typically produced through a top-fermenting yeast production, which includes: pale ales, mild ales, stouts, and brown ales. On the flip side of the classification tree, we have the lagers. Contrary to the production style feature with ales, lagers are usually created through a bottom-fermenting yeast. This methodology uses a lower temperature range before cooling the beer a lower temperature in the “lagering phase.” This process is meant to create a crisp tasting beer. 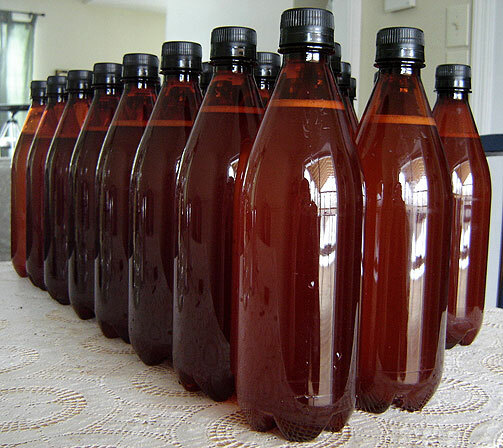 Beers that use the bottom-fermenting yeast include: pale lagers, Pilsners, Bocks, and Dortmunders. Did you know that the most commonly consumed beer around the world is pale lagers? So you get the classification system a little better now; but where does my beer fit into these categories? When observing beer with the naked eye, some of the visual traits the are quick to pop out include clarity, color, and how the “head” looks. The color of your beer can range from a faint yellow for a pale lager to a dark black for an imperial stout. It’s that frothy foam found at the top of your glass of beer. Realistically, it’s bubbles of gas that has risen to the surface. The foam’s density is dependent on the type of malts used. Are you having foam issues with your beer? We are hear to help troubleshoot all your beer-related issues. Foam issues may arise from an imbalanced system, having your beer keg set at the wrong internal temperature, or having improper pressures. We are here to fix any foam issues you have – whether it’s an issue involving flat beer, cloudy beer, or sour beer. Call the Kegman for the answers to your questions at 973-512-2028, and make sure that no beer goes to waste. “Fortune” hard cider is a very crisp cider ripe with acidity. Carr’s describes it as “an excellent light, sparkling cider made from the fabulous mid-modern cultivar ‘Fortune’.” Unlike “Fortune,” which runs at a moderate 6.5% alcohol by volume, Carr’s upcoming “Orchard Run” packs a punch with 12% a.b.v. which shows its wine-like strength. Two other varieties that are pending federal label approval are “Golden Russet” and “Apple Pommeau.” Warning: these last two are not for the faint at heart, as they weigh in at 13.5% a.b.v. and 19.5% a.b.v. respectively. Carr’s Ciderhouse has come with eight long years of hard work. The orchard at Carr’s began with 1,500 apple trees back in 2007 in North Hadley, Massachusetts (It’s what owner Jonathan Carr puts into the soil that produces such flavorsome apples!). To top it all off, the orchard provides an astonishing view of the Connecticut River Valley. Here is a link to a video made by Ryan Marshall, a great friend to the Carr’s team, which shows how the apple pressing process works. Jonathan (Carr) is very proud of his shiny red press. Carr’s is sold in 750ml bottles. The cider house is working on getting their cider on top in the near future. Carr’s has chosen our hoses and regulators to help get their cider out to the public. Visit Carr’s Cider House online at carrsciderhouse.com. Plan on visiting Massachusetts soon? Having any relatives in the area? Make sure to sit back and relax with a hard cider from Carr’s. When you first saw Will Ferrell popping out of the water holding an Old Milwaukee found underwater, did you have to do a double-take? Do not worry, you were not seeing things. The comedic hero continued his publicity stunts for Old Milwaukee into the past weekend, with a featured 30 second commercial that aired during Super Bowl 46. If you were not viewing the game from the state of Kansas, unfortunately you did not get to view the latest campaign. The commercial was aired exclusively on KNOP, the NBC affiliate programming in North Platte, Kansas. Pabst Brewing Company, which owns Old Milwaukee, has run several campaigns featuring Will Ferrell in various outlets throughout Iowa, Indiana, and Milwaukee. Rumors have been spreading that the reason the commercial aired in North Platte was because Patriot running back Lewys Carlini grew in the small town in Kansas. Many are claiming it was ingenious to run the short commercial within such a segmented marketplace. As the average Super Bowl commercial cost $3.5 million this year, Old Milwaukee was able to decrease the cost in spending which was made back in the virality of the video online. Will Ferrell’s commercial has promoted more buzz than any other advertisement that ran this past Sunday. When he hasn’t been sponsoring Old Milwaukee in a variety of commercials, Will Ferrell has been busy promoting his upcoming movie Casa De Mi Padre, which opens next month. This video short features Will Ferrell horseback riding through the country with a friend, who then stop to enjoy a twelve pack of Escorpion Cerveza. Have we got you a little thirsty with all the mouth-watering beer clips? Grab an Old Milwaukee, a Escorpion Cerveza, or any other beer that quenches your thirst. This week we were in Connecticut visiting friends, and happened to stumble upon a gem of a restaurant hidden in the small, quaint town of Bethel. Greenwood Grille & Ale House serves up a variety of craft beers on tap along with specialty bottled beers. Along with some deliciously hand-crafted burgers and entrees, patrons can participate in events such as happy hour specials, monthly beer tastings with food pairings, and live entertainment. Greenwood has become known as one of the area’s premium beer bars, which features their own Greenwood Ale, produced in Oxford, Connecticut. The grille and ale house is the place to be in the town’s center, with lines going the door on the weekends. Greenwood’s owner has served up the finest cuisine throughout the Connecticut and New York City. Some of the highlights from the menu include skinny onion rings and The Spice, a burger topped with avocado, jalapenos and queso blanco. Here is a picture of one of Greenwood’s featured craft beers, Rogue’s Double Chocolate Stout. This chocolaty beer hit the spot after having one of the signature burgers. Another craft beer that we had was the Dogfish Head 90 Minute India Pale Ale. Greenwood’s Grille & Ale House opens at 11:30AM daily, with late night menu options on Friday and Saturday nights. Greenwood’s is located at 186 Greenwood Avenue in Bethel, Connecticut. With the Super Bowl quickly approaching, the hype continues to grow – for the players, the coaches, the city, and the advertisements. Our society has grown to associate the television commercials with Super Bowl Sunday, along with other traditions. When it comes to the beer industry, the competition is just as fierce as it is on the playing field between the football teams. What brewery takes the crown for being your favorite beer commercial? Take a look at Budweiser’s classic advertisement with their infamous frogs. It’s no wonder our society reminisces over commercials such as Budweiser’s infamous Clysedale Horses shorts, or the following Bud Light ad where a loyal fan fills his house with Bud Light cans. Did you know that over the past decade Anheuser-Busch In Bev spent the most on super bowl advertisements? Anheuser-Busch easily beat out Pepsico to gain the crown, spending approximately $240 million in advertising campaigns between 2002 and 2011 (Pepsico spent approximately $175 million). Anheuser-Busch will be schilling out quite a bit this year for advertising space, seeing as the average 30-second commercial for the 2012 Super Bowl will run $3.5-$4 million a pop. According to the latest reports, the company will focus their ad’s on Budweiser and Bud Light Premium. Although Coors Light scored higher in taste testings, Coors is no longer the official sponsor of the National Football League. Here is one of Coors Light’s recent commercials featuring rapper Ice Cube. We will have to wait and see how the commercials match up this year. What companies do you predict will put on a good show for us this year? If you’re in Savannah, The Distillery is by far the place to be. Marked as “an oasis of craft beer in the Southeast” by Sam Calagione of Dogfish Head Brewery, craft beer fanatics will find themselves right at home. Given the rich history of the area, the name pays tribute to a reputable distilling company that once reigned in the building. At first glimpse inside the bar, customers are brought back in time reminiscent of vintage saloons. The interior is decorated with historic references such as old newspaper clippings and pictures of the pharmacy that once marked the territory. If the history isn’t encapsulating enough, perhaps being the area’s only real craft beer bar might tickle your fancy. Accolades include world class status as a craft beer bar from Beer Advocate, and being one of the best places to drink in the South by Imbibe Magazine. The Distillery is known for serving over 20 craft beers on tap and approximately 100 bottled beer options. Taunting the slogan “No crap, just craft,” The Distillery serves up only the finest beers alongside authentic pub food. Are you or your friends considering opening a bar in your area? We can help answer all of your questions here. So, do you think you can make it in time for Happy Hour? The Distillery should be next on your list, seeing as Happy Hour specials are extended to Saturdays as well – who’s gonna argue against that? Are you a local native? Make sure to take full advantage of special offerings such as the Beer Club and the Distillery Dames. Here are a few of the craft beers available on tap. Know of anyone that does home brewing? Add some spice to your set-up with a Monty Python tap handle. The Distillery is located in the historic district of Savannah on Liberty Street, across from the Savannah Visitor Center. One of the greatest benefits of being a fan of better brew isn’t the ability to fly or to have superhuman strength, while they are up there – not the greatest. The greatest part of being a craft beer fan is the seasonal beer! Variety is the spice of life, plus if you have to wait for it – it’s that much better. For some breweries, seasonals are their best sellers – and not for nothing either; not much is more delicious than a brew you’ve been waiting for nine months to have. Any homebrewers plan on crafting their own seasonal ales? Make sure that you have your foam situation under control for next season’s brew. If you have foamy issues, the Kegman is here to the rescue. Most assumed that due to popular demand, seasonal beers have been released earlier every year. This year you can expect to start seeing the first of the summer brews in March, while a few years ago you wouldn’t be able to enjoy them until May. You can be sure to find some spring beers by February, considering that we saw pumpkin ales in early August last year – which is arguably too early, too humid, and too hot for that. In fact, I’ve just seen the first of Sam Adam’s seasonal variety, Alpine Spring. Visit their video library to catch a glimpse of the latest addition to the family. There is reason behind the efforts to be the first on the shelves and the first of the season in the hands of a craft beer connoisseur, for most – if they like it – it’ll likely be the one they stick with until the next season. I mean, honestly nobody want to have left overs, because by the end of the season you’re ready for the next big thing and you’ll need the space on you shelves. There is a new restaurant that just recently opened in Corpus Christi. If a place as picturesque as this doesn’t make you want to visit, then at least go to enjoy a few margaritas and some fajitas from the Fajitaville Grille. This promising place is all about cold brews and beach views, with tortillas that are done right under the moonlight. Founded on the principles of great food, incredible atmosphere and being the best beachside bar you’ve ever been to; because honestly, who could resist that – the description doesn’t fall short of paradise. Not to mention that Fajitaville Grille is the only restaurant in town with on-the-beach service! Corpus Christi’s newest munching mecca is a 3-story entertainment and dining complex that will be sure to be serving up some of the best times in Texas. This one-of-a-kind eatery is perfect for everyone, from the casual patio dinner to live indoor cooking shows, Fajitaville Grille is sure to please everyone in the family. The first floor is pretty much for the vacationing beach bums stopping in for a quick meal or drink. The second floor is for entertaining – with a hibachi and ceviche bar it sure is! While the third floor is where the party’s at, serving as a meeting room for private functions. Fajitaville Grille is the place to be in Corpus Christi, with three bars included. Two of the bars are located on separate floors, while Bamboo Beach Bar is outside in the blazing hot Texas sun, right by the beach. Let me tell you this, it took a lot of careful planning for the systems to all work together. With the help from our Glycol Cooled Systems, the beer flows smoothly and tastes delicious. So the end result turned out to be very promising – who would turn down an offer for an ice cold beer or cocktail after a long day at the beach? Next time you’re in the Corpus Christi area, make sure to check out Fajitaville Grille. The downward sales trend in the beer industry has been rough on some – Anheuser-Busch InBev hasn’t seen shipments this low (less than 100 million barrels) in an entire decade. Yeah, per year. Even Miller Coors has seen a decline. Shipments fell 3% – which puts them below 60 million barrels last year. However, despite what they may think (or tell reporters), it isn’t really the spirits that havetaken over the past decade’s drinking occasions. It’s a craftier competitor – small breweries creating quality craft beer that customers can’t seem to get enough of. Nonetheless, the hard work of our beloved small town brewery has hardly put a dent in the market share owned by beverage behemoths Anheuser-Busch and MillerCoors, only down a combined 1.1% from the past year. Some companies, like Flying Dog Brewery from the video below, were on the upswing. Samuel Adams owner Boston Beer Co. scored an 8% increase; while small brewer D.G. Yuengling & Son Inc. of Pottsville, Pa., was up 16.9%. Moving forward, the wine sector is expected to see a boost of 3.5% over the course of the year, while beer sales will probably see a 2.2% increase, especially with the growing popularity of craft brews. So, cheers to a better year with better beer – for you guys at Dogfish Head and all of us “off centered” craft brew loving people! Given the rise in craft beers on the market, what craft beer do you prefer?